This is the first of two (008[a] and 008[b]) end-of-year missives. Have you had a good year? I hope you have had a good year. A few months ago Aeon published my Future Reading essay and I asked this list (there's about 4,500 of you!) for responses to the question: How do you read? And respond you did! After an unseasonably busy fall (more on that in 008[b]), I finally had a chance to catch up on all the mail (there was oodles of it). The replies were wonderful. Thoughtful. Full of passion and curiosity. It is an honor to have you all on the other end of this message tube. I've dabbled with digital books but at this point, for many of the same reasons as you and more, any books I care about or am excited about, I read on paper. I still read digital books occasionally but only for technical books that are works-in-progress — beta releases, essentially. For that use case digital is fantastic — I get to read cutting-edge ideas before almost anyone else and engage in a dialogue with the authors while the ideas are still forming in their minds. CM: Beta books! I'm still hungry for a lessening of the distance between author and reader — something iBooks and Kindle still fail to do. Not only do I read for the long arc – I write for it. I wearied over everyone's proclamations of print's demise. I didn't make sense. It was assumed inevitable that digital was the future. It wasn't inevitable, I thought, because of any real necessity. It wasn't the same, nor better. I stood by print because (simply) I like its tactile qualities better, it is an irresistible pleasure. The tactile qualities of digital are too hard and monotonous. Here's how I read: print. I've tried many times to get into ebooks—specifically EPUBs in iBooks and Kindle books on either my 2014 Kindle or the Kindle iPhone app—but it never sticks unless there's no print edition of the piece I want to read (usually standalone short stories or novellas). I do, however, read a fair amount on my phone. Over the past year I've begun scanning short segments (around 20 pages) of the books I'm reading—taking photos with my phone and converting them to nice black-and-white PDFs—so I can keep reading when I don't have the book in hand. It takes a little more time, but this way I get extra portability and don't have to sacrifice the (usually much better) typesetting of the print book. It's working out fairly well so far—I've read around twenty books this way and while it's not quite as nice as reading a physical copy, for me it's the next best thing. Similar experience here: even though I've been a lifelong reader and collector of physical books, I love the idea of digital books and fully expected them to change the paradigm quickly, somewhat as iTunes did with music. Early on I bought several, read a few, and then without much thought gradually reverted back to the physical. I didn't have a bad experience with digital. On the contrary, I found much to like regarding convenience, portability, view customization, etc. But I think it was mainly the tactile and aesthetic that were lacking. Books as organic-derived objects have a different connection with the hand, and probably the brain, than the mechanical shell of an e-reader. 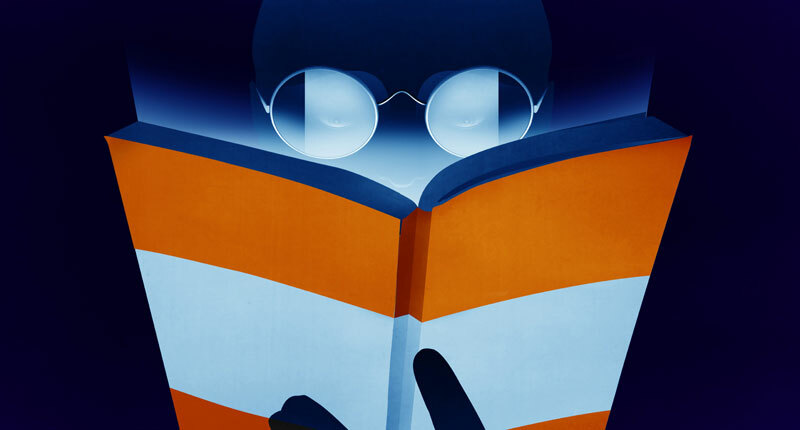 As simplistic as that may seem -- equating a tactile experiential quality to information -- reading is an intimate human experience, requiring at least some degree of emotional connectivity in order to fully realize. For me, it turns out paper, cloth, and cardboard help form that connection in a more pleasing and meaningful way. CM: Maybe another way to think of this — efficiency doesn't inherently trump experience. Until then I prefer iBooks. It's not the carefully typeset yet customizable and open format of our dreams, but it does justify. They naturally don't have everything, but my inter-library system does. Note and highlight persistence? They've got the same lifespan as I could reasonably expect from a print book; with cloud-backups and two-factor protections there's no digital equivalent for the coffee catastrophe or the forgotten loan to the friend that moved cross-country. Can I still appreciate the heft and clarity of well-bound print? Of course I can. But personally I look at it with the same nostalgic admiration as the typewriter in the park. CM: Ouch. :) Typewriters are interesting little beasts. It's fun to bang around on one every now and then and remember what it feels like to have thoughts affected by the edges of the media, as opposed to just brain dumping into the endless scroll of our text fields. Every morning on the Paris metro I do a little tally, and slowly but surely books have been taking over digital devices during commutes. My personal test that I don't let stress control my life is that I fit in a few pages of a physical book before bed. CM: Wow. Anyone else noticing this in Paris? Like yourself, I made the shift from print to screen to print again. I bought a Kindle in 2012 for research purposes (I was writing a thesis on how some books would be unsuccessful in making the transition to the eBook format) and read a few large fantasy novels on it as they were the sort of thing that wouldn't fit on my bookshelf. I tried reading on my iPad as well, and liked that because I could read in bed in the dark, and the Kindle app seemed to be more user-friendly than an actual Kindle. But I haven't read anything on either screen for over a year now. They both sit in various desk drawers gathering dust and leaky pen ink. I read articles on my computer and iPhone, and I find this is best for stumbling upon things that I otherwise would not read. However, overwhelmingly I do the most of my leisure reading on paper, for all the reasons you've stated. Like Erasmus, I continue to spend far too much money on books. I find my father's reading habits an interesting comparison to my own. He only reads fantasy and sci-fi, with the occasional war history non-fiction tome thrown in. Because sci-fi and fantasy are the sorts of genres that readers consume at quite the rate, he has found that the Kindle app on his iPad is fantastic for several reasons: he won't have to renovate the house to fit more physical books in; he spends a few dollars per book instead of upwards of $15; when he has finished one book, he can immediately choose another no matter where he is; and he has access to a vast array of different authors and titles, which is important as he lives in a town with about three bookstores and a four-hour flight from anywhere more substantial. I find it interesting how what you read affects how you read. CM: I find my mom has been similarly Kindle-friendly. For years she Hoovered up hundreds of romance novels on the Kindle, but in the last year or so, it's about half-print half-digital. On screen: Small devices, 60%. Usually filling in time. 20% On a larger screen, dedicating more time. If someone sends it, or shares it, I take the time. Guilty of TL;DR. I discovered this term late, and when I heard it, I just got it. And I hung my head. So I started to turn it around. Buying less, but treasure them so much more. And (after a few years of book storage dilemmas while on the go) I now borrow books from the library. I keep to the return date. It spurs me to read them and not deal with storage. Win/Win! Perhaps my web pages need a snapchatification, or due date feature. Never kindled. Prefer one book at a time and less devices. I had been thinking about it-- but it passed. For the last year before I moved to Paris it was all physical books all the time. I gave up using my kindle in favor of leveraging the awesome Seattle Public Library circulation. I don't keep books quite like you do or mark them, I just enjoy the feel of the paper, the weight of the book and the conversations it starts. Hopefully when my French gets strong enough I can start to discover the libraries here. CM: That's one of the biggest pains of living in Tokyo — a lack of inspiring library spaces like the Seattle Public. Books as furniture be damned — just give me some vaulted cathedral ceilings and well filtered natural light. There's a physical, kinetic pleasure in handling a book, that's just not there in any e-reader I've encountered. This is true most of the time. The longer the text, the higher the chance I listen to an audiobook version which accompanies me for walks and drives. Medium length, I tend to read on a computer screen. And short length, I read on my iPhone. I have a kindle too. Partly because I wanted to do more self publishing and I still do. So it was a way to see how everything looked and worked as an ebook and mobi file. But I almost never use the kindle as a reader. Maybe it is the black and white-ness? But I have read more books on the iPad. Ultimately, I too have switched back to print. Even though I am not reading much I continue to buy books and put them on my shelf in hopes that one day I will get to them. I have received physical books as gifts too. Who gifts an ebook? I like the physical-ness and knowing that at any moments notice and can pull a book off a shelf and read it, or hand it to Someone else to read. My books are full is post-its with my thoughts scribbled on them. I am too afraid to write in the margins, but yearn for the annotations - something I don't do with ebooks. If anything I just copy the text and paste it into a note app or tumblr or Wordpress for later. Having a physical book self is a conversation starter too. Asking people for recommended books and have them see them when they visit later also visibly reinforces my trust in them as well as a talking point. It is also a known statistic that children in homes with books do better in school. The strange thing is that it correlates not to books read, but simply book ownership. But there might be a third under-lying variable which is that the types of people who value books also value education and books is the physical manifestation of that. Ebook ownership might do the same, but time will tell. I’ve seen three Gutenberg Bibles in my life and each looked as if it was printed just yesterday. A well-made book is surprisingly durable. Keep it of of water of fire and perhaps in a cool, dark place and it can last for millennia. For anything I want to last - frequently consulted references or my favorite non-fiction - nothing replaces a well-made book. My library is overflowing with texts that will outlast me. But, like you, my day-to-day reading - my consumption of ephemeral, quotidian content - is almost entirely digital. My newspapers are digital, my magazines are digital, light non-fiction for reading on airplane flights is all digital. So for “forever knowledge” (to steal Edward Tufte’s phrase) its paper - its the only medium I trust to last. CM: Great point about Gutenberg — surprisingly contemporary (post-modern even) when seen in person. After realizing I was stressed out about buying ebooks in closed ecosystems sometime last year… I’ve moved back (mostly) to print. I find myself making those same measurements of convenience vs longevity. If I do buy ebooks these days, I immediately un-DRM them with Calibri (neither proud nor ashamed of this) and they end up in a Dropbox folder called “Books,” which serves as my comprehensive digital book shelf. I don’t really trust anything other the file system for archives. Technical books (I’m a programmer) usually end up being purchased digitally – full text search is just too useful to ignore. Since they tend to be physically larger and have a shorter useful life, this feels ok.
Maybe worth mentioning: I’m a dog ear reader, not an underliner or a note taker. I love going to back to a marked page, years later, and having to hunt for the gold all over again. Like so many little feelings like that, ebooks don’t make the same connection. CM: One of the first and best digital book services I subscribed to was O'Reilly's Safari Books. This was back in ... 2003? Purely for technical books. Was perfect — searchable, fast. Still one of my most natural (in that the content perfectly matched the container) digital book experiences to this day. I do personally share your relation to printed book. I could never get used to iTunes, so I have never bought songs as digital downloads. Different, but comparable with ebooks. There is lack of a tool for reading and administrating ebooks, with which I could share my library across different devices. And I just cannot deal with calibre. Amazon does a fairly poor job in all this, you mention it. And this is the reason, why I distinguish between "relevant books" (print) and casual reads (digital). - Things might change, slowly. You might have heard that German publishers (big as well as small) have decided to go DRM-free. Maybe things will develop in the right direction. But being an entrepreneur in digital publishing for more than 10 years (which is exactly as precarious as it sounds), I doubt that there is substantial money in the market to come up with convincing solutions in the short run. CM: We (the universe) burned through our first batch of publishing related startups that began circa 2011 / 2012. Curious to see if a new batch can be inspired / inspire funding atop things like this DRM free German landscape. How?! How not. My addiction. You would think a preference would emerge, but I have differing rationales for reading on paper or electronically. I love the fact that my Kindle (version 2.5.6) holds hundreds of books yet weighs the same. None of the pages stick together and my wrists never hurt holding a heavy book. I can adjust the font and my eyes don't hurt from glare. Yet, if I REALLY love a book, I buy the paper version, as well. But the reverse is not true for some reason. If I read a book on paper first and love it, I don't buy the ebook. What's up with that? I love the smell of paper but I also love the ease of my kindle - pure enjoyment! CM: It's funny, I'll sometimes buy a book digitally if I just want to be sure I always have it with me. Like emotional or intellectual insurance. A few novels have earned that place in my phone/devices, but they're few and far between, and the digital edition is often used more for reference than pleasure. 10% digital, mostly read on my phone. 90% hard copy. CM: Confession: it was me. I snatched it up. But over the last three months — as I’ve been working all over Central America — what I’ve found myself most drawn to is not an unlimited supply of words. Instead, I’ve become drawn to reading and re-reading the two paperbacks (John Berger’s G. and Marcus Aurelius Meditations) that I chose to bring with me. In their depth, they never get old. And because they pass that pre-requisite, I look to them as objects that define a time-period, a mentality. They provide a frame in which to view the world, and the more I read and re-read them, the more I adopt that frame to understand/define/reflect on those three months. CM: Reading is rereading, etc etc. I love picking a book or two and living with it and it alone for a few months. First, my experience with books, then ebooks, and back to books mirrors yours. As one recent example, I bought Seveneves by Neil Stephenson in print, then before heading out on vacation, and traveling light, I bought a Kindle and the Seveneves ebook. But as soon as I returned home I returned (home?) to the print version. You simply cannot flip around an ebook, not to mention the lack of tactile feel, sight and small. The larger arc of my print-ebook-print trajectory follows that same pattern. I also love photography and art books, and books that incorporate imagery or poetry, and print is the only way to go there. I collect and read several journals - I love the idea of journals - and treasure their feel, discover-ability and browse-ability. Plus, they can be stored on the shelf for others to discover. You do not stumble upon an ebook! Finally, I usually have a "stack" of books on hand at any given time. While I love being able to carry around several books at once with the Kindle, it's not the same as having a pile of books. I half wish I could do the same with my music, but the ease and appeal of PC-based audio is too strong, though I do have an excellent USB DAC. CM: I've done the USB DAC thing too. I'm conflicted. It sounds better, but I still long for edges to my media. Thankfully I have no place in my home for a turntable so the world is still safe from reading my 4,000 word screeds for/against vinyl. I preferred paper textbooks because I could write an essay and reference the source simultaneously (no dual monitors for me in university). But the act of reading a physical book for pleasure just didn't feel efficient to me any more. Stupid little things like holding the pages open or remembering pages without a bookmark. Then there's the more practical issue of weight: A Dance With Dragons is heavy...unless you read it on the smartphone or tablet you already carry with you. I'm also concerned with stockpiling too many shelves with stories I won't want to return to. My girlfriend is an avid reader and she's filling the shelves handily herself. That said, in recent years I've been clawing my way back to paper for some activities. I'm carrying field notes books and using a Moleskine and Leuchtturm. The feel of pen and paper is definitely a draw. I also read the occasional paper book from the library, but 95% of my books are still digital. CM: I have to admit — my favorite posture for reading in bed is on my side, head atop pillow, iPad Mini propped on its side, reading white text with a black background in a pitch black room. So much easier than dealing with page flipping or holding books open or night lights. ... in short, I can say that my reading habit over the past few years have been similar to your experience, in that I have switched back to reading in print after a phase of 'minimalism' with my amazon kindle. I have since sold my kindle and actually spend some time at my local Barnes bookstore perusing their selection of books whenever I am looking for a book to buy. Of course, the quick and cost-effective option of buying books from Amazon will never go away from me, but it is interesting to see how I find myself going back to print for most of my reading resources. And there you have it: How (some of) you read. Thanks again for taking the time to write in. BTW: I didn't overly select for responses that validated my personal experience / thesis! These were very representative of the whole. So if there are those of you who simply don't agree — who are staunch and satisfied Kindlers and think it is a great, inspiring reading experience and who think I'm totally off base, please chime in. The final Roden Explorers mailing of 2015 — 008[b] — coming soon. Keep your eyes peeled!